Innovation is top priority for companies world-wide, and with unhappy customers, technology disruption and falling profits shipping should be in a frenzy of it. 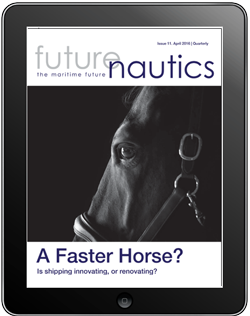 But shipping is renovating rather than innovating—its customers are asking ship operators for a Model-T and getting a slightly faster horse in return. In most companies there’s less a hunger for something new as a desire for things to get back to normal, but with little likelihood of that how do we drive innovation in shipping? What’s necessary to shift perceptions, broaden horizons, and connect with the big ideas, whether they come from seafarers, start-ups or Silicon Valley.